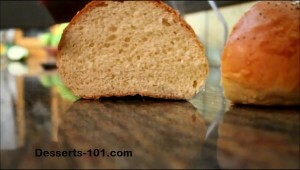 You can easily make these smaller and increase the quantity or make nice 12 hamburger or hot dog buns. The topping can be almost anything you wish. An egg wash applied before you add the toppings will glue them to the bun.Also brushing the buns with melted butter as soon as you bring them out of the oven gives them a nice shine and helps soften the crust. Store left over dinner rolls in a plastic bag after they have cooled down. The crust will soften over time. Feel free to place in a warm oven for a few minutes to warm before serving. Measure out your ingredients before starting. Heat the butter and milk together until warm and then add the sugar and yeast and allow to proof. This mixture should become foamy and bubbly if your yeast is good. Measured out ingredients we need to create the best Dinner Rolls. To the heated milk and melted butter, adding in the sugar and yeast. The mixture should become foamy/bubbly if the yeast is alive. Adding in the flour and salt and beginning the kneading process. Add the eggs one at a time while kneading. Adding the flour and salt. Kneading the dough on speeds 2 or 3. Adding in the eggs one at a time while kneading. Shape the dough and place in an oiled/greased bowl. Cover with plastic wrap and allow to double in size. The proofed dough turned out onto a floured surface. Shaping the dough before placing in an oiled/greased bowl. Cover with plastic wrap and a towel and allow to proof in a draft free warm place for 69-90 minutes or until doubled in size. The dough has finished proofing, Now it’s time to place it on a floured surface. Dividing the dough into portions and shaping into rolls and placing of prepared baking sheet. Dividing the dough into 8 portions for rolls. Dinner rolls shaped and ready for the second proof. Rolls fresh out of the oven. Notice the wonderful crumb inside. Dinner Rolls coming out the oven. Sliced dinner roll. Notice the wonderful crumb structure. 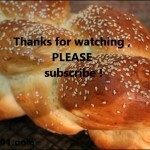 These are the best Dinner Rolls you will ever have. It is your choice for toppings. 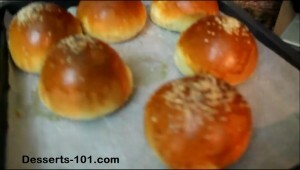 You can easily make these into hamburger or hot dog buns. 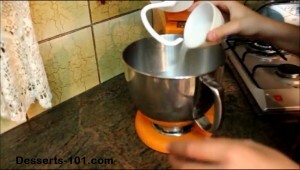 In a sauce pan, place the butter and milk. Turn on the heat to low and slowly heat until the butter is melted. The temperature should be below 120 degrees F (48 degrees C) before adding the yeast, if necessary let cool. Place milk/butter mixture into stand mixer bowl; add in the sugar then sprinkle yeast on top, mix with a fork to dissolve the yeast and let the yeast proof for 10 minutes. The mixture should become foamy which indicates the yeast is alive. (about 7 minutes). Adjust flour and water as need. Grease/oil a bowl. 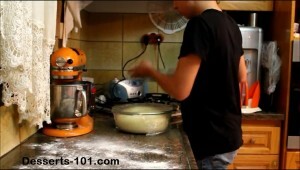 Remove the dough from the mixer, knead by hand and shape into a ball. Place dough into the bowl, turning the dough, in the bowl, to coat it with grease/oil; then turn the dough over so the greased/oiled side is up. Cover with plastic wrap and set aside in a warm place until dough has doubled in size, about 60-90 minutes. Remove dough onto a floured surface; press down to deflate; divide into 8 portions. 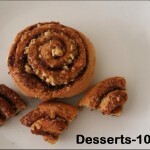 Roll portions into balls and place on a parchment lined (or greased/oiled) baking sheet. Cover dough with a piece of plastic wrap and allow to double in size in a warm place, about 30 minutes. Meanwhile, preheat the oven to 350 degrees F (177 degrees C). In a bowl, add the egg and the water and lightly beat with a fork until well combined. Remove plastic wrap, lightly brush with an egg wash solution. Add toppings, if desired. Bake in a 350 degrees F (177 degrees C) for 25 to 30 minutes, or until it is browned and sounds hollow inside when tapped on the bottom. Remove from oven and place on cooling rack to cool. Serve warm or allow to cool for easier cutting. To make in a bread machine, place all dough ingredients in the bin in the order recommended by the manufacture. Set the machine for Dough Only and start the machine. When the machine has completed its cycle, Continue with step 5 above. 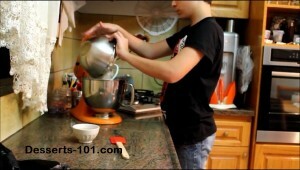 To knead dough by hand, Place ingredients in a mixing bowl and stir with a wooden spoon until stiff. 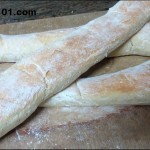 Turn out onto a floured surface and knead until dough is smooth and soft, about 10 minutes. Continue from step 4 above. Hamburger / Hot Dog Buns from this dough. 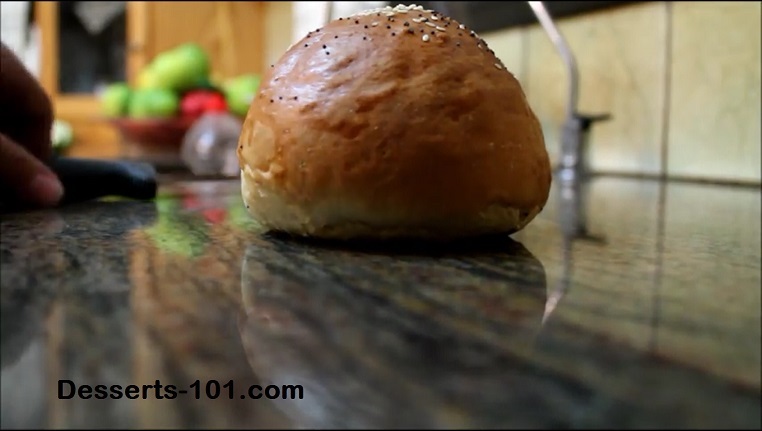 In step 5, shape dough into round balls for hamburger buns or ropes about the length of a hot dog. Place on prepared baking sheet. 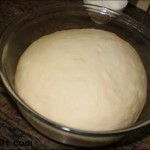 Allow to rise for 10 minutes then flatted, cover and allow to rise until doubled. Continue from step 6 above. Check after 15 minutes of baking, they may cook quicker. To use Compressed Cake Yeast. Replace the active dry yeast with 25 grams of fresh cake yeast (Red Star Brand). This is equivalent to a little less than ½ a 2 ounce cake. 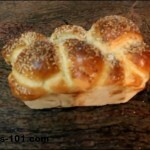 To use Instant or Rapid Rise Yeast. Replace the active dry yeast with an equivalent measurement of Instant or Rapid Rise Yeast and mix the yeast with the flour. There is no need to proof this yeast. These are the best rolls I ever made. I made them into 12 buns. Just what the doctored. Perfect!